This was the first planned stop on my summer 2007 trip. I was appropriately overwhelmed by The Canyon and surrounding area. I'm a 3rd generation Arizonan and this was my first time seeing the Grand Canyon. On Hwy 89A going down into the Colorado River in Lee's Ferry area. 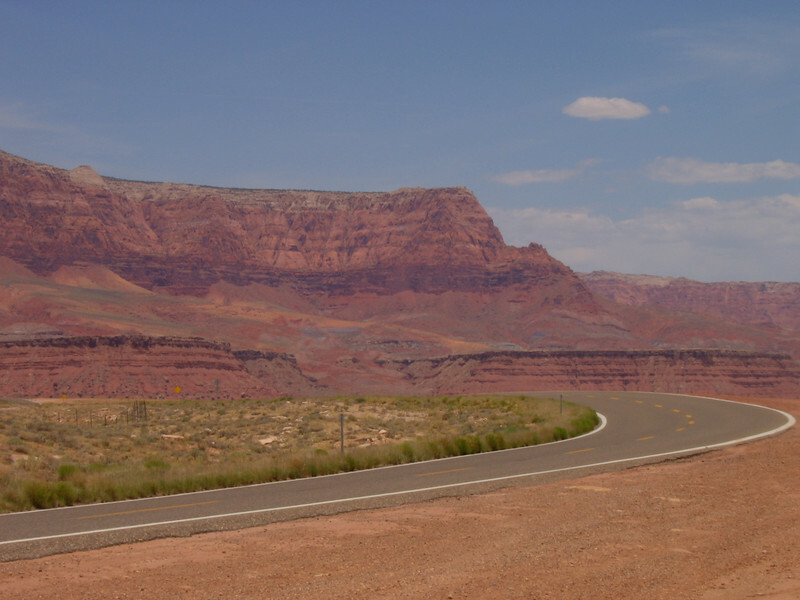 The cliffs are appropriately called Vermillion Cliffs.